Laura Capilla, the founder and principal designer at Laura Lee Interiors, LLC creates refined, elegant and timeless environments by working closely with her clients to understand their needs, tastes and lifestyles. The results are custom-tailored interiors that are a personal reflection of the client and the perfect combination of cohesive design and functional space. Laura has a passion for and understanding of all styles of design, be it Modern, Contemporary or Traditional. Her skills as a designer are reflected in the interiors she has designed and her many satisfied clients. Laura ensures that each of her completed projects are functional, unique and beautiful! Celine founded living with chic in 2016 as a way to share her passion for beautiful interiors and offers Interior Design services to others because she believes that no matter where you live, you can turned your space into an elegant & charming Interior. Her slogan is "Less is more and details are everything". Celine creates spaces that are organized, functional and fresh. She loves mixing the old and new to create a timeless look that is unique and warm, but most importantly, client satisfaction is at the top of her list. Homes designed by Grisell are full of color, texture and pattern. They feel warm, inviting and definetely comfortable. Their are personal and unique to each client. Grisell's artistic vision and love for architecture are represented in her work. Whether it is Traditional, Contemporary, Eclectic, Mediterranean or simply Old World... she loves it all! Having traveled over nineteen countries, as well as within the United States, Grisell offers an International style to those desiring it. As an Interior Designer, Professional Photographer, Artist and Fashion Designer, she brings a truly Visionary design experience to her clients. "Alina Druga Interiors" is a full service Interior Design firm, specializing in residential and small commercial spaces. We are on a mission to inspire and support clients in transforming their home or business into a beautiful and personalized manifestation of themselves. Our interiors are unique and detailed, and our inspiration comes from our clients. ADC specializes in Interior Design planning for residential renovation work involving, kitchens, bathrooms and full interior remodels. 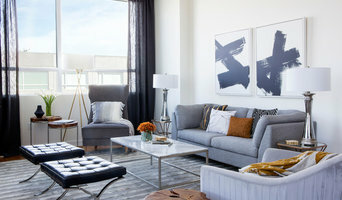 The Right Touch Designs is a San Francisco Bay Area design firm led by Stephanie Batties. Built on a solid background in architecture and product design, we provide comprehensive collaborative interior design and architectural design services. By deploying good listening skills and collaboration we create spaces that reflect client needs, preferences and appropriateness to the existing architecture. Designs are unique yet functional, comfortable and tailored to work in everyday life. San Francisco Bay Area Interior Designer Best of Houzz 2014 - 2018! Maria Billingsley of STUDIO MB is a residential and commercial interior designer in Northern California. Bringing a compelling set of unique design qualities, her contemporary edge coupled with traditional flavor, creates eclectic interiors that reflect the personal spirit of each client. In tandem with her skilled team, Maria creates lush livable interiors refined by aesthetic sensibility and meticulous detail. Pouring her creative talent into her projects, Maria works with a network of talented architects, contractors and artisans to deliver a clean, dynamic and sophisticated aesthetic with sharp attention to architectural detail and design. Maria enjoys collaborating with her clients in all stages of the design process. From ground-up new construction to simple remodels, she takes great pride in delivering a final product that is both timeless and stylish. Maria’s work has received regional recognition in several design publications including California Home and Design and Diablo magazines. Her goal is to create magical spaces where a fully customized environment is reached through communication and creativity. 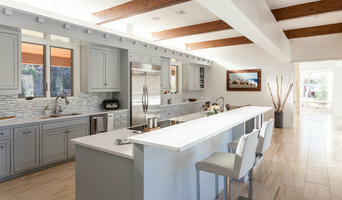 Both Pleasanton, CA interior professionals are closely related and often mistaken for the same thing, however, there are some significant differences you should be aware of before hiring. An interior designer, also known as an interiors architect, will not only hone your style down to its very essence but will be able to choose a functional layout. All Pleasanton, CA interiors designers require specific schooling and formal training. They use their specialised knowledge of interior architecture, building regulations, materials, and furnishings to help you arrive at your dream home design. Interior design companies can come on board during the early stages of construction to plan spaces and room functions down to the last detail, and can help design and renovate interiors and decorate. On the other hand, an interior decorator will typically be involved with the “look and feel” of a space, and won’t be able to assist in renovations that require structural work. Interior decorators in Pleasanton, CA normally come on board after all structural work is complete. Why should I hire an interior designer or decorator in Pleasanton, CA? Everybody wants to a home that reflects their personality, though some of us are just too preoccupied with a career and/or family to think about colour schemes, wallpaper, flooring, and lighting. 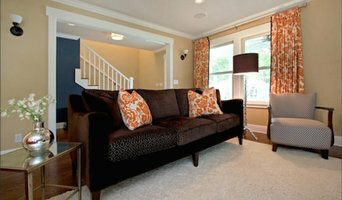 A Pleasanton, CA professional interior designer can save you bags of time, stress and months. Residential interior designers and decorators in Pleasanton, CA understand the latest trends, have a good sense of layout and functionality. They can also save you money by sourcing products via trade contacts or offer affordable alternatives to blowout iconic designs. How do I choose the right interior designer in Pleasanton, CA for my home? Every Indian home is unique in its style and can be an inspiration to define your own style. You start by looking at images and work of different interior designers and decorators in Pleasanton, CA. Save the pictures and details of the professionals who match your taste.There are plenty of interior design companies and interior designers who can help you turn your living room into mix-and-match lounge oozing an eclectic style, or turn a pale and interesting minimalist bedroom with shots of colour, or a beautiful space inspired by Scandinavian design. Pick an interior designer in Pleasanton, CA who has completed work similar to the look and feel that you desire. Be sure to discuss your needs, ideas, constraints, and budget early on. Some interior companies are design only, while others can oversee the whole project. If it is the latter that you seek, make sure all subcontractors used are well experienced and accredited. What are some of the important questions to ask Pleasanton, CA interior designers or interior decorators? Find an interior designer or home decorator on Houzz. 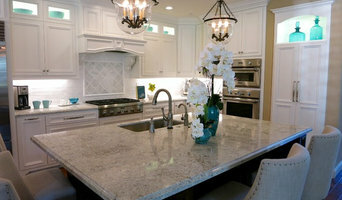 Narrow your search in the Find Pros section to find Pleasanton, CA interior designers & decorators. 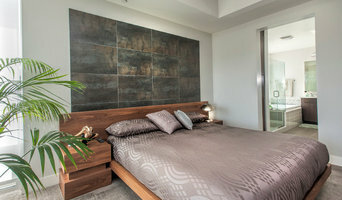 You can also look through photos to find a room you like, then contact the interior design firm who designed it.